Jack Ma has already taken public one company worth more than $150 billion. It looks like he's trying to do it again. 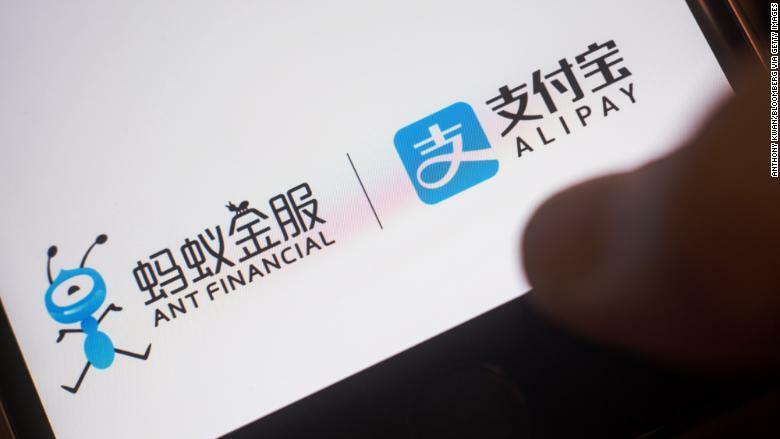 The Chinese tech tycoon's online payments company, Ant Financial, is preparing to raise billions of dollars from investors that would value the business at $150 billion before an initial public offering, according to multiple reports. Ant's parent company Alibaba (BABA) -- also co-founded by Ma -- was valued at $168 billion when it went public on the New York Stock Exchange in 2014. It's now worth more than $445 billion. 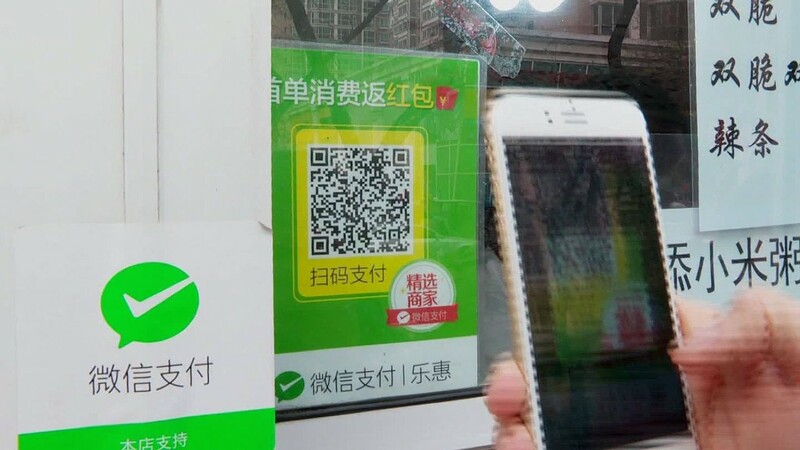 Best known for its mobile payment platform Alipay, Ant Financial is battling Tencent's (TCEHY) WeChat Pay to be the platform of choice for hundreds of millions of Chinese shoppers. In China, everything from laptops to street food is bought using mobile payment apps. Ant -- which also has a money market fund app and a credit scoring business -- has been expanding its payments services around the world. The company is seeking to raise at least $8 billion to $10 billion from investors, according to reports by The Wall Street Journal, Bloomberg and Reuters that cited unidentified sources. A spokesperson for Ant declined to comment on its efforts to raise more money. Investors are extremely eager to invest in Ant, according to Kenny Liew, an analyst with BMI Research. A fresh round of funding would allow Ant "to seek an even better valuation when it eventually goes for the IPO later in the year," Liew said. The largest tech listing of the year so far is Spotify (SPOT), which was valued at around $30 billion when it went public last week. That would be eclipsed by the $150 billion valuation that Ant is reportedly seeking. A spokesman for Ant said the company does not have a timetable for an IPO. Ant's soaring valuation is a reflection of the rapid rise of mobile payments across Asia. The company has struck deals with mobile payment platforms like Kakao Pay in South Korea, Paytm in India, GCash in the Philippines and Dana in Indonesia. Ant will likely use new funds to continue its international expansion with the aim of dominating "the mobile payment markets in countries where mobile payments are nascent," Liew said. The company also has an eye on Chinese travelers, many of whom don't have credit cards and are accustomed to using mobile payment apps. That has spurred US companies like Sheraton Hotels and Uber to take Alipay. More than 8 million brick-and-mortar stores in China and 120,000 retail outlets across the world already accept Alipay. Ant recently suffered a setback in its efforts to increase its presence in the United States, however.